July 22, 2013 | Welcome to Little Gull Marina! Well that was quite the storm! Hydro could be out for a few more days yet. The crews are busy working away and they are saying hopefully by Thursday everyone will have power but don’t get too excited they keep changing their minds! 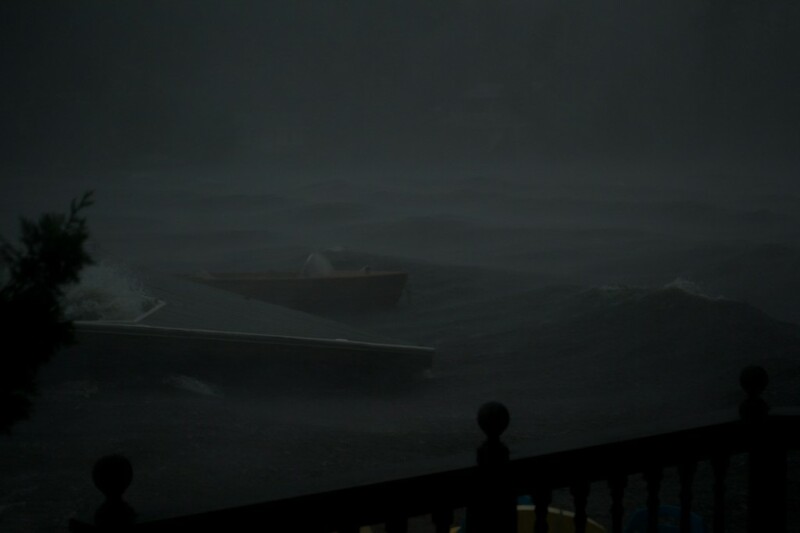 The picture is from Catchacoma in a small bay near the narrows during the storm. There is a fair bit of damage so patience will be necessary if you venture up here. The roads are clear in most spots with some laneways blocked. Let us know if you decide to start looking for generators or other “power-out” toys to help.